New Year’s resolutions are always about striving for change and something new. We feel attracted to the New Year’s headlines in the fashion magazines which suggest a new look and style for the new year. However, when it comes to our wardrobe we better finish with the old first, before starting with the new. A wardrobe detox is a great chance to free up space and increase your budget for the very much desired new items. In other words, by selling preloved items you’ll improve your fashion footprint and benefit your wallet at the same time. 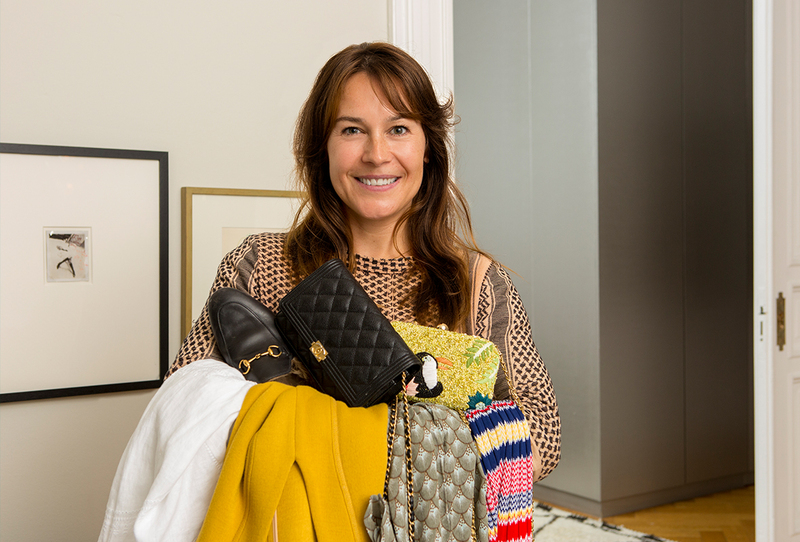 We had the chance to get some simple tips from Jenny, our Personal Fashion Concierge, on how to easily de-clutter. Jenny visits customers at their home and helps to sell their once loved pieces via the Concierge Service, our full service where we take care of the entire sale for you. Do not hesitate to contact us via the link on our website if you’re interested in an appointment with one of our local Personal Fashion Concierges. Where to start and how best to proceed? 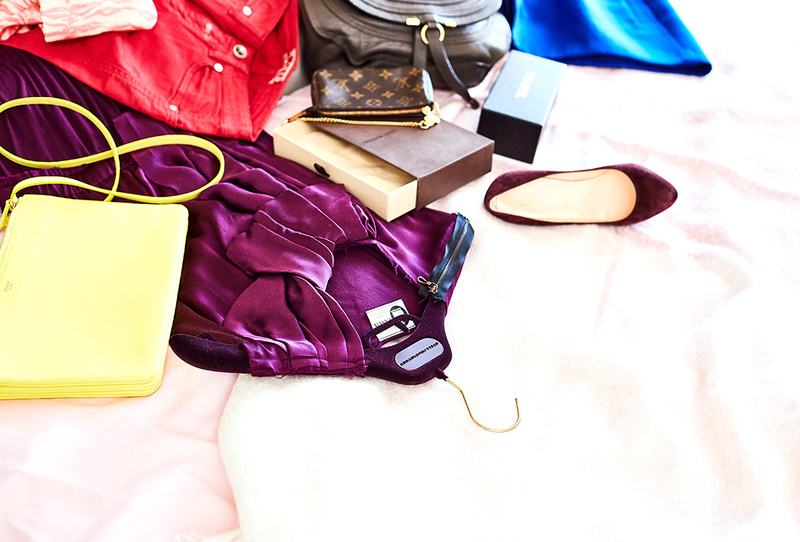 Take everything out of your wardrobe and place in a big pile. Then you can clean it out and review the arrangement of the shelves and compartments, as well as the condition of the hangers. - Have I worn it within the last year? - Does it fit and suit me? - Do I still like it or has my style changed? Would I buy it again? - Am I happy with the quality? - Does it have any emotional value for me? Would I miss it? If you can answer no to all of these questions, the position is clear: anything that doesn't fit properly, is uncomfortable, broken or faded, is clogging up your wardrobe and needs weeding out. If an item cannot be combined with any other garment, you should also get rid of it. We often have similar versions of certain items in our wardrobe. You should ask yourself: do I really need 13 white t-shirts? Maybe baby. What about items that you're unsure about? The sentimental value of some garments should not be underestimated, as they are often associated with certain experiences and emotions. Items you are unsure or undecided about go in the maybe box. It is best to keep this box somewhere out of daily sight, whereby the following principle applies: out of sight, out of mind. If you have completely forgotten about these things after a year, this is a sure sign that you can get rid of them once and for all. If there are only a few of these items, there is also the coat hanger alternative: simply put the "maybe" items back in the wardrobe with the coat hanger facing forwards. Anything that is still hanging "the wrong way round" after a year – so has not been worn – is removed. Take any items that simply need mending (e.g. replacing seams, sewing on buttons, removing threads, repairing zips) to the tailor, cobbler or leather specialist by no later than the following day. What goes back in the wardrobe? Favourite items and anything that you wear a lot deserve to go back in the cupboard. The same goes for any classic, timeless garments, such as a black blazer, cashmere pullover, leather jacket or traditional denim jeans, for example. What do I do with the things I've weeded out? Anything that is in good condition, but no longer fits and has no emotional significance, yet still has a certain value, goes in the sell box. Items with minor flaws can also be donated or given away. Former designer pieces can easily be sold online, via the concierge service at Rebelle.com, for example. As an online marketplace, we take care of the entire sales process as part of our all-inclusive service, from photography, to text preparation, storage and shipping. Rebelle accepts over 650 designer labels. We know that customers will get a good price for well-preserved items from these brands. Resale values for luxury branded bags, such as Chanel and Hermès, are often higher than new prices. Some models are highly lauded and genuine investments. 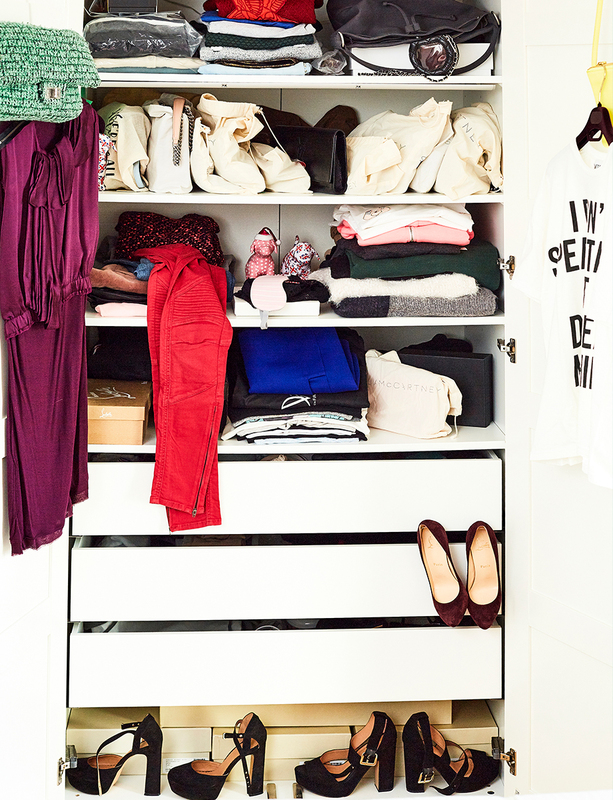 How can I keep my wardrobe tidier in the long term? There are various ways of organising your wardrobe. You can, for example, arrange everything by category and colour. So it is well-organised and easier to keep tidy. Another tip: store everything so that it is as visible as possible. So hung up, rather than folded and stacked. Narrow, uniform metal coat hangers are ideal for this. If there is not a lot of room on a shelf, take care not to stack too many items. Three jumpers on top of each either is the maximum. Large drawers can be kept tidier by inserting smaller, individual compartments. It is best to store favourite items within easy reach. Rare classics should be kept in the upper compartments. Accessories, such as belts or scarves, are best kept on hooks or pegs that can be attached to the inside of the door to save space. What about special items that are rarely worn? First of all, I would recommend separating these into summer and winter! Thick winterwear, such as puffa jackets, polo-neck sweaters and ski underwear take up a lot of space. The same applies to your dozen beach tunics. It is best to pack off-season clothing in separate boxes and store these in the basement, in the loft or under the bed. Evening gowns and high-quality fabrics should be stored in garment bags, to prevent them from gathering dust. Handbags are best stored stuffed with tissue paper and placed in protective covers, to ensure they keep their shape.